From the Middle East to the rest of the world, IllustradoLife shares the stories of Filipinos expats from around the world, providing a global venue championing the world class Filipino. 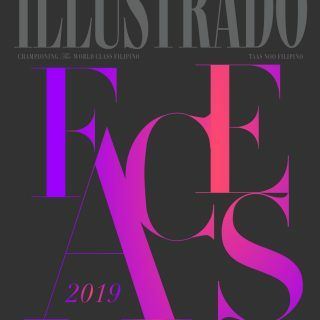 IllustradoLife features articles on fashion and beauty, travel, lifestyle, business, events and other topics of interest to the international Filipino community from its mother publication, Illustrado Magazine. 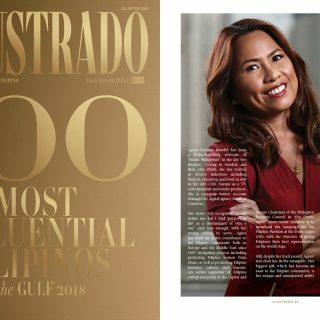 Illustrado is a unique lifestyle-community magazine published out of Dubai, United Arab Emirates since 2006, devoted to uplift the Filipinos around the world. 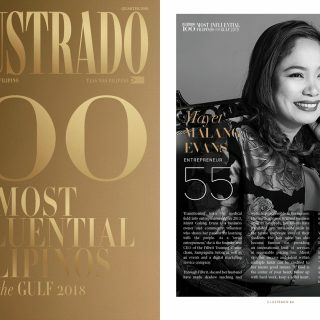 The slogan ‘Taas Noo, Filipino’ and the vision of ‘Helping the Filipino flourish – global vision, native soul’ define the substance, style and corporate ethos that has helped Illustrado gain recognition in the Gulf region as a wholesome, positive, highly engaging and richly visual medium that has accorded due respect and recognition to the Filipino community. Illustrado’s distinctive approach combines premium production values with a very down-to-earth philosophy; it is not only a magazine, but is a social enterprise that speaks and aspires to enrich a very diverse range of readers, veering off the usual media fare of gossip, scandals, sensationalism and materialism. It is a publication that has the look and feel of premium glossies, but is patronized by Pinoys who still appreciate the distinct homey flavor of ‘tuyo’, regardless of whether they are domestic helpers or business owners outside the Philippines. Because of Illustrado’s earnest approach, the magazine has touched the lives of so many progressive-thinking Pinoys, who found resonance and empowerment in the contents of its pages. 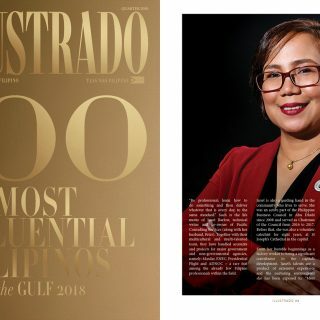 Illustrado’s advocacies also include initiatives such as Illustrado Women of Substance and Pinays Take Charge – sister projects dedicated to promote the empowerment of Filipinas in the Gulf. Illustrado also actively support the Filipino creative community, providing talents a platform to showcase their work via the magazine and other worthwhile community projects. Twelve years ago, we set out to create a publication that aimed to uplift the Filipino – with a mission of helping our kababayans flourish through a global vision, while keeping our native soul. More than just a venture, Illustrado was an advocacy for us, intended to be a catalyst in the transformation of our community – from disadvantaged under dogs plagued by negative misconceptions, to equals and formidable contributors with a seat at the world’s virtual table. Twelve years ago, we were measured based on stereotypes, slotted into very narrow categories – domestic helpers, laborers, mail-order-brides, third world, influencing the way we were valued (or in this case, undervalued); impacting how we were seen and even how we were compensated in the workplace. Twelve years ago, there was nothing but bad news and sob stories, propagated by our own news outlets as well as international media, which largely defined our existence as “kawawang Filipino” to our peers in the multicultural communities where we exist abroad. It was a dark time especially for progressive Filipinos who were not only hungry for respect and recognition, but who knew we deserved it. 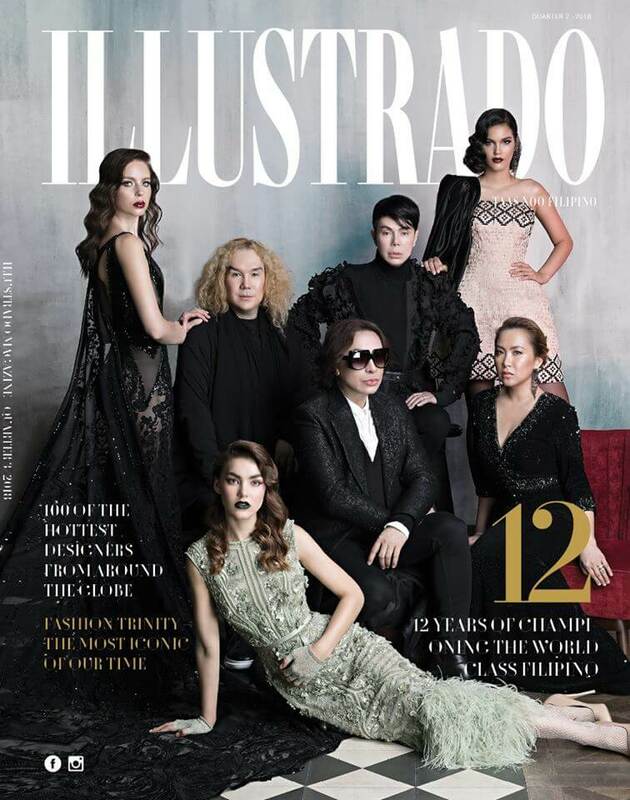 It was this painful vacuum in the pit of our stomachs that gave us the impetus to launch Illustrado and change the way Filipinos are presented out there. Twelve years on, we now belong to a time where our achievers and talents are celebrated, where we talk about good news, more than just the bad, where Filipinos are recognized as leaders in so many fields and industries and as key contributors wherever they may be in the world. Pinoy pride, Filipina empowerment and Taas Noo Filipino have become more than just mere slogans. They have become affirmations of our shared successes and triumphs, something that most of us aspire for and celebrate whenever we have the opportunity. We have poured our blood, sweat and tears into this project, endeavoring at every step of the way to uphold our advocacy, no matter what the challenge. Along the way, we shared with you our people’s triumph’s not only from the UAE and the Philippines’, but from around the world. We have discussed issues of the day, both serious and mundane, always offering a progressive and positive view. We played a vital role in supporting and growing our illustrious creative community and feel part of the success of some of our most significant Filipinos in various fields today. We have had the privilege of seeing the community transform, and our prize for all this is knowing that we have contributed our all, and that with our earnest wishes and hard work, we have made a difference. It’s been quite a ride, but it doesn’t stop for all of us. Beyond our twelfth year, we would like to see Filipinos getting more adept and comfortable integrating with the rest of the global community, being able to keep our identities intact, while at the same time, sharing our lives, our talents, our achievements and what makes us unique with others. We have managed to stand up, and make others pay positive attention. Now it’s time to truly join the rest of humanity, as global Filipinos.